Katie Allison Granju is a writer living in Tennessee with her three children, ages 12, 8, and 6. 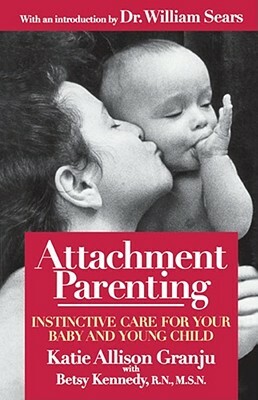 She is the author of the book Attachment Parenting (Pocket Books, 1999), which was named one of the ten best parenting titles of the year by the editors of Amazon.com. Katie’s articles and essays have appeared in The Chicago Tribune, Salon.com, Brain,Child, Hip Mama, Pregnancy, Cooking Light, AustinMama.com, PhillyMama.com, iFeminist.com, Oxygen.com, Minnesota Parent, Big Apple Parent, Every Baby (the official magazine of the American Academy of Nurse Midwives), and a variety of other print and online publications. She is a contributing writer and columnist to Metro Pulse, and is currently at work on a book about Generation X parenting. When she isn’t writing or mothering, Katie enjoys reading, knitting, politics, playing with her Jack Russell Terrier, and riding hunter-jumpers. You can read Katie’s writing on her website, and her email address is kgranju@yahoo.com.